Goal: to provide independent counsel to all parties during the litigation process. 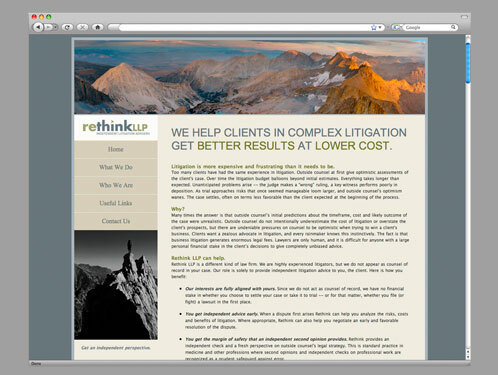 RethinkLLP offers a thorough, objective review at any point in the litigation process to evaluate the progress of the lawsuit and reframe objectives. Among their many services, these experienced attorneys offer prelitigation advice, trial consulting, second opinions at critical junctures, and also coordinate multi-jurisdiction litigation.